Hail damage insurance claims can cause an unexpected flood of paperwork, processing and repairs when bad weather strikes. It’s not practical for your insurance company to remain fully staffed to process these claims when the weather is unpredictable. That’s where Dent Wizard steps in. 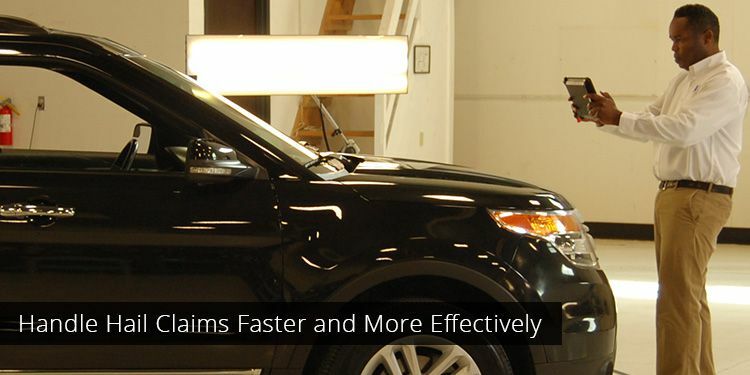 Our Paintless Dent Repair (PDR) process Direct Repair Process (DRP) allows insurance companies to handle hail damage claims faster and more efficiently than other methods. This specialized expertise has made us the leading supplier of PDR and hail damage repair to insurance companies throughout the United States. Learn more about our hail damage insurance claims solutions and find out if a partnership with Dent Wizard is the right fit for your insurance company below. Hail damage insurance claims require quick processing and repairs. As an insurance company, you can quickly become overwhelmed if streamlined processes are not already in place. Dent Wizard partners with insurance companies to expedite the claims process. Our team handles everything from the initial hail claim to processing and executing the repairs. This creates a simplified process for both insurance companies and their customers. Dent Wizard is the industry leader and has the resources to assist with hail insurance claims and complete the repairs, even in the face of a substantial hail event. Our PDR technicians are certified and trained at Dent Wizard facilities and are ready to deploy to any location with a major hail storm. Partner with Dent Wizard to get your insurance customers back on the road quickly following a hail storm using our industry-leading PDR services. Dent Wizard’s dedication to excellence, integrity, innovation and customer devotion make us the ideal partner for companies processing hail damage insurance claims. Learn more about working with us. Hail Damage can be a costly situation for any vehicle owner. Dent Wizard’s PDR process returns a vehicle to its original factory condition after a hail storm without requiring extensive body shop work and repainting. Dent Wizard processes auto hail damage insurance claims and provides repairs while seamlessly working with insurance companies.